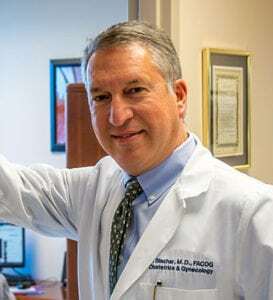 Dr. Leonardo Blachar has practiced Obstetrics and Gynecology at Doral Beach OB/GYN since 1988. He is Board Certified by the American Board of Obstetrics and Gynecology since 1991. Born in Havana, Cuba, Dr. Blachar was raised in Brooklyn, New York. He attended Stuyvesant High School in New York City and completed his undergraduate education at the Sophie Davis School for Biomedical Education/CUNY. He then received his Medical Degree at Stony Brook School of Medicine on Long Island, graduating in 1984. Completing both his internship and OB/GYN residency at the University of Miami/Jackson Memorial Hospital, Dr. Blachar then joined Doral Beach OB/GYN. He is bilingual, speaking both Spanish and English.